Nia, or Non-Impact Aerobics, is getting a lot of attention now. Sign up for classes through Lake Oswego Parks and Recreation. 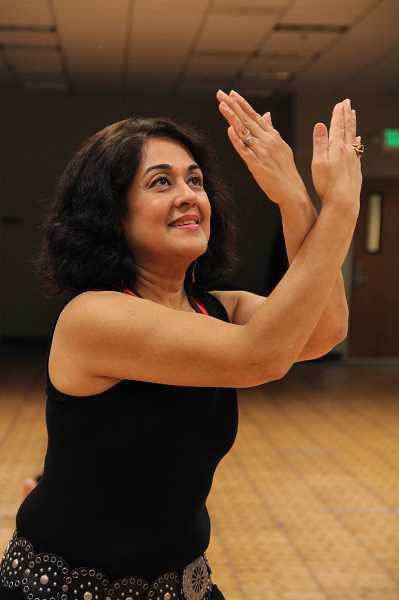 Lake Oswego Parks and Recreation invites all to try NIA, or Non-Impact Aerobics, a health and fitness alternative that emerged in the 1980s, and evolved to include neurological integrative practices and teachings. Nia at Palisades is an hour of serious fun sprinkled with occasional surprises. Bare feet are recommended. The class is for ages 16 and up. A new session will be taught from 5:40 to 6:40 p.m. Apr. 10 through June 12. LOPR-Palisades, $66. Ballroom Dance I — Learn the staples of ballroom dance, the smooth foxtrot and the lively Cuban cha cha. Students are ready for the dance floor after learning the basics and beyond in these two ballroom rhythms. For ages 16-plus, 7-8 p.m., Thursdays, Apr. 5 through May 24, LOPR-Palisades, $66. Ballroom Dance II — Take the basic steps you learned in the beginning class and add some flair. Build a series of routines in all styles of dance from the beginning class. For ages 16-plus, 7-8 p.m., Thursdays, Apr.5-May 24, LOPR-Palisades, $66. Spanish Beginning and Advanced — Learn to speak Spanish at the Beginning II, Beginning II/III or Advanced level I. Whether it's for pleasure or work, these fun and laughter-filled classes provide you with 10 weeks of knowledge. For ages 16-plus, 9 -11:35 a.m., Thursdays or Fridays, Apr. 5-June 8, LOPR-Palisades, $67. Abstract Painting with Acrylics — Create abstract art that allows your creativity to flow without worrying about straight lines or perfect features. Class focuses on color and self-expression with different abstract painting techniques. No painting experience necessary, all supplies provided. For ages 18-plus, 9-10:30 a.m., Wednesday, Apr. 4, Adult Community Center, $46. RMC Private Drum Lessons — RMC Studios is offering individual weekly music lessons for beginners, intermediate or expert levels. Work on rhythm, drum beats, reading music and learning popular songs on a drum set or hand drums. For ages 5-17, 4-7 p.m., Wednesdays, Apr. 4-May 9, LOPR-Palisades, $216. Teen Jam Session — Calling all guitarists, drummers, pianists, vocalists, shedders and rockers: Join the Rock Shops student rock bands. Prior experience on your instrument preferred. Registered Teen Lounge participants can attend this class for free. For ages 11-17, Mondays, Apr. 2-May 21, LOPR-Palisades, $75. Little Tykes Lions Soccer — An innovative curriculum introducing young soccer players to the basic skills utilizing fun games, stories and music. Fee includes jersey, shorts and ball. For ages 3½ to 5, 10:55-11:40 a.m., Mondays, Apr 2-May 21, LOPR-Palisades, $112. Little Ninja Warriors — Little Ninja Warriors build strength and agility as you run, jump and climb your way through action packed obstacles of fun. Ages 3½ to 5 years, 10-11 a.m., Tuesdays, Apr 3-24, LOPR-Palisades, $71. Celebrate Healthy Trees — Join us in Springbrook Park, where every living tree will be growing new spring leaves. Play tree bingo on our walk through the park. Event takes place from 10 to 10:45 a.m. Friday, April 6. Entrance at Uplands Elementary School, 2055 Wembley Park Road. Buckets and exploration tools provided. Class information is in the Parks & Recreation Activities Guide and online at www.loparks.org. You may register by internet, mail, drop-off during business hours at Lake Oswego Parks & Recreation-Palisades, 1500 Greentree Road, Lake Oswego 97034; or fax 503-697-6579 or call 503-675-2549. Non-residents generally pay more than fees shown. Scholarships are also available for Lake Oswego residents. Judy Nelson is a registrar for Lake Oswego Parks and Recreation.